After an early morning assignment in Wakefield, RI, I asked my subject about the local area and what was scenic. He told me some nice spots in Charlestown that he saw while riding his bicycle. 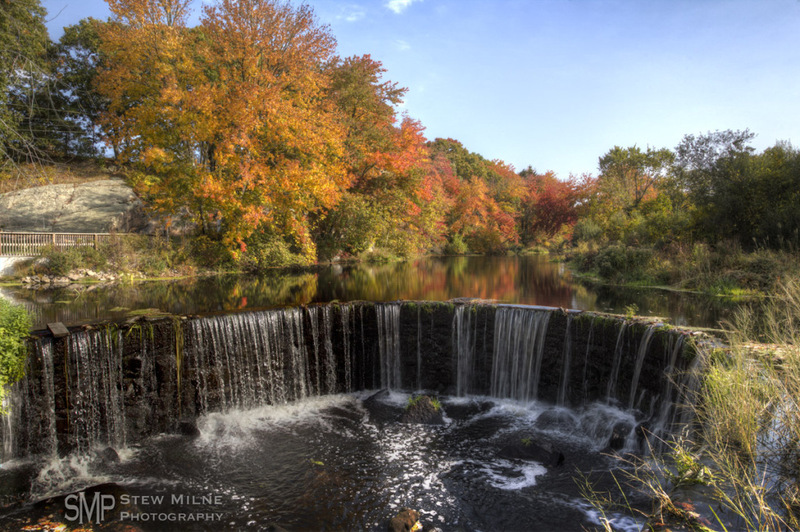 On my way to check those out, I ran across Horseshoe Falls in Shannock Village, RI. The falls are on the Pawcatuck River and used to be the sight of an old mill. After Horseshoe Falls, I ventured onto North Rd, heading north. There was some scenic photos there, which I’ll add to another post, but the one above is from Beaver River Rd. 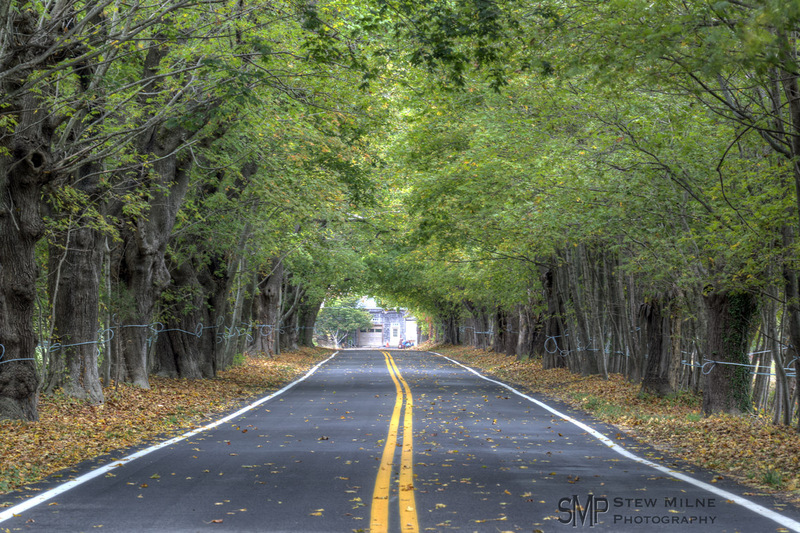 My subject today told me there was about a 1/4 mile of tree canopy. I was hoping the trees were changing color, but these ones still haven’t. I’ll be back when they do though. If you look close, you will see a bunch of greenish tubing going from tree to tree. Those are for maple syrup season. The trees are tapped and when they “bleed” their sap, it’s collected in the tubes.